rags, microfiber cleaning cloths, wipers, terry cloth rags, wash cloths, terry hand & bath towels, disposable paper wipers, disposable towels, lint free, huck, bar mops, knits & more! Super selection & factory direct prices. 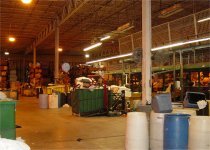 One of the largest manufacturers and distributors in the United States for Reclaimed or Millend goods. We offer a wide selection of bar mops, disposable paper wipers & bath towels, terry cloth, wash cloths, knits, fleece, gray heather, microfiber cleaning cloths and more. Our excellent customer service and quick response to our clients needs helps separate us from the competition. Our selection of textile rags and disposable paper wipers is extensive. Virtually any type of rag or wiper is available. Rags come in a number of variations including cut, trimmed and hemmed. Our disposable lines can be cut to specific sizes and folded if needed. If you don't see the product or quality you like, please ask. For price quotes, details and samples, call us at 888-335-6439. Our cleaning rags are typically available boxed in 25 lb. & 50 lb. packages as well as bales 100 lbs. or more. Container loads are never a problem. Quantity discounts begin at 500 lbs. 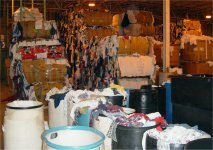 Our rags are being used in all types of businesses and industries including painting and refinish work, janitorial and industrial sites, car and boat dealers, airlines, manufacturing, car washes, furniture manufacturing and hair salons, to name just a few. And we have added an even wider selection to our disposable wipers and towel line up. We gladly service individuals as well! A 50 lb. minimum is required. Quantity discounts & samples are available.